A water heating system remains shut down for almost half a year but aggressively used once the winter season arrives. It is mechanical equipment comprising many sensitive parts that may damage by regular use, idle condition or fluctuation in voltage. Generally, a water heater gives some indications before it is worn out completely. If you can figure out the symptoms, prevention from major damage becomes possible. Some water heating systems work with electricity whereas others with solar energy. Therefore, the mechanism also differs to an extent that only an expert of water heater repair in Phoenix can understand. Generally, people switch on their water heater exactly when they feel the need to hot water. It is advisable to check the working condition a few weeks before winter. It gives you some time to identify the fault and repair timely. From the points mentioned below, you can get an idea that the geezer needs immediate repair. When you turn on the tap of a water heater after 4-5 months, it is obvious that some rust will come out because of the water stored inside. However, id the rust is continuously coming whenever you turn the tap, it is the clear symptom of malfunctioning in the system. The most probable reason for this problem is worn out internal heating system. If the problem is with connected pipes, it will solve after emptying 2 to 3 buckets. Don’t ignore the problem if still, rust is continuously coming out. 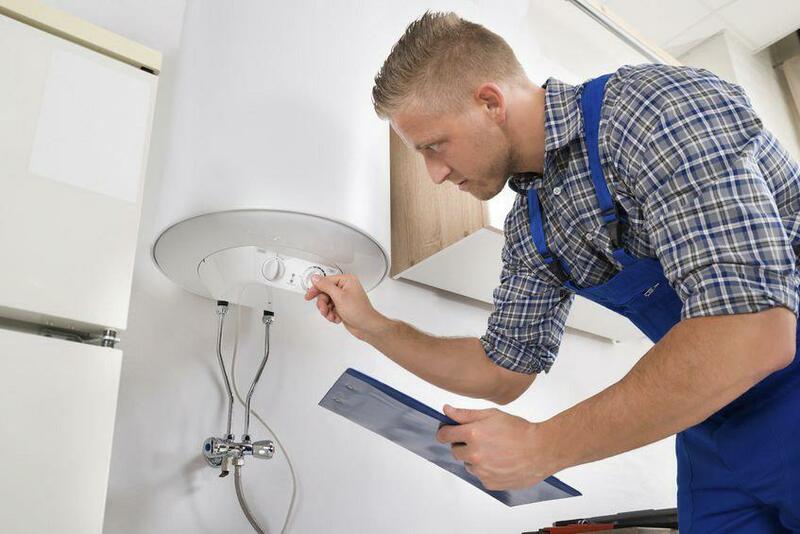 This issue generally persists in old very old or poor quality water heaters. If water droplets are gathering around your geezer, contact an expert of water heater repairs in Chandler. The moisture around water heating system if there is leakage due to the damaged water tank. At the initial stage, you will not notice its adverse impacts because the damage is little. However, it will rise with time and results in rust and short circuit too. If you are hearing unusual sound from the water heating system, call a professional of water heater repair in Phoenix. Now they are easily approachable online & you can expect 247 services in an emergency too. The rumbling sound of the heater signifies that its life is over now. During the working period, sediments of water gradually settle inside the water tank. Whey set harden over time and produces annoying sound when you switch on the heater. Sometimes, water softener chemicals can help in removing the sediments but not always. Mostly, the plumbers suggest replacement rather than repair. If you are not getting hot water in adequate quantity after turning on the faucet, contact the expert of water heater repairs. It must be due to the sediments settle inside section pipe or the geezer. Generally, this problem is curable with water softeners but a wrong softener may damage the internal parts. You may have seen some DIY videos of water heater repairing but never try them otherwise the damage will increase. Different geezers have different mechanisms that no one can predict before opening. Also, there are some fragile components that require handling with care. The professionals of water heater repair in Phoenix attain adequate experience in dealing with all kinds of water heating systems. After opening, it is their accountability ho to repair and reassemble. Generally, a malfunctioning geezer requires parts replacement that you cannot do without experience.